I’m sure I missed several towns, but these are the ones that come to mind. 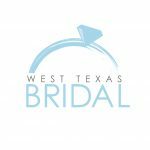 Basically, we have the opportunity to meet and work with couples from all over West Texas and New Mexico to plan their wedding event. I had no idea when we started this wonderful venture that we would have people coming from all over to have weddings with us. I feel so honored. These couples come in from all over and we would probably never have had the opportunity to meet them if it were not for Walnut Tree. I think weddings are a time to celebrate. A time for family and friends to come together and support these precious couples. It is crazy but by the time the wedding day rolls around, I feel like I know these couples (well especially the Bride) so well that they really are more like friends. My husband laughs at me because I am always telling him stories about this sweet bride or that bride. Telling him how I just can’t wait for this wedding. “This one is REALLY going to be fun”. Facebook has been such a great way to keep up with couples after the weddings. watching them buy their first home, or announce pregnancies or new jobs. I ran into a couple in Sam’s the other day and talked for an hour. Of course, anyone that knows me is not going to be surprised by that. Relationships are the basis for our wedding venue business! We started this on prayer and faith and will always keep our focus on that. Can you tell that I LOVE MY JOB!!! !